Our veal is produced by Geraldine Hanley near Macroom in County Cork. The free range calves are raised in small herds and have free access to pasture. This system of production is entirely different to the continental one and the access to grass results in a rose coloured meat. 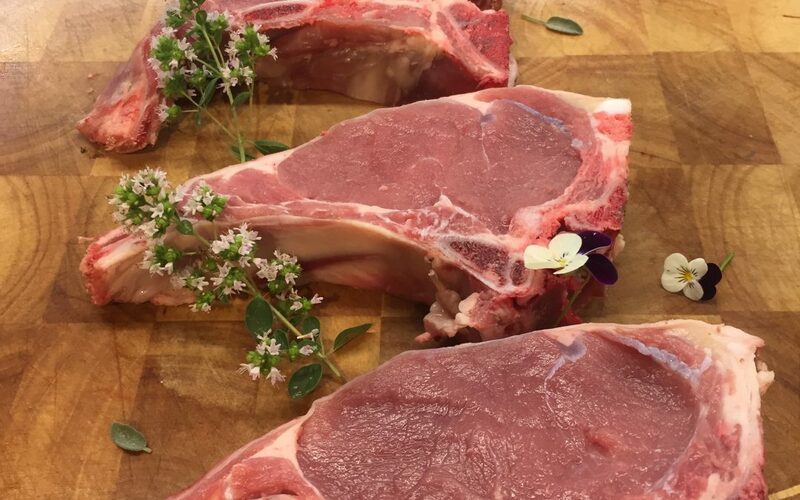 Rose veal is a sustainable local product with a wide variety of uses. It’s particularly popular with continental customers who would have traditionally eaten veal, particularly osso buco and escalopes. It is a seasonal meat, usually only available from March to October. Our final delivery of veal for 2018 will be available at the end of October. We endeavor to use every part of the animal where possible, creating new products using caul fat or offal. 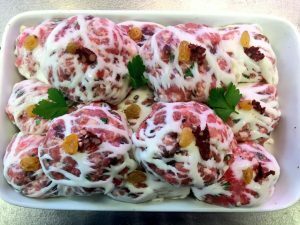 One of our most popular items are our veal crepinettes, a fresh veal sausage wrapped in caul fat. They contain no preservatives and need to be cooked by the next day. 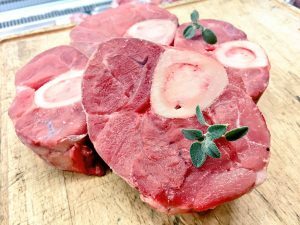 Cuts such as osso buco and offal tend to sell out very fast as quantities are limited. You can find our veal on the menu in The Ivory Tower restaurant on Princes Street here in Cork city centre.